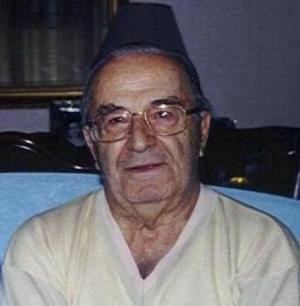 Prof. İlhan Usmanbaş was born in Istanbul in 1921. He grew up in Ayvalık. When he was twelve years old, his elder brother gave him a cello and he began teaching himself to play. After moving back to Istanbul, he learned cello from Sezai Asal at Galatasaray High School. After graduating from Galatasaray High School, Usmanbaş studied in the Faculty of Letters at Istanbul University. In addition, he continued to study cello from Sezai Asal and harmony from Cemal Reşit Rey at Istanbul Municipality Conservatory. 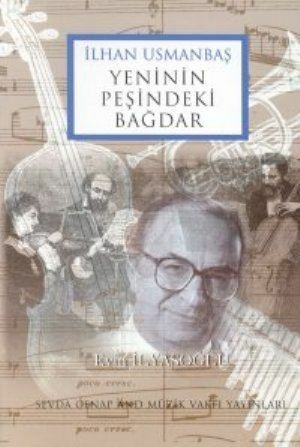 In 1942, Usmanbaş entered Ankara Conservatory and studied cello with David Zirkin, harmony, counterpoint and composition with Hasan Ferit Alnar and piano with Ulvi Cemal Erkin. He later studied composition with Adnan Saygun. Usmanbaş graduated from the Conservatory in 1948 and started teaching music. He taught solfege, harmony, form information, history of music and composition for a long time. In 1952, Usmanbaş went to the United States with a UNESCO scholarship, where he came under the influence of American pioneers of new and experimental music. In the same year, he participated in the Helikon Association in the US. Between 1957 and 1958, he went to the US again with Rockefeller Foundation fellowship and met many composers. As a member of jury, he was invited to Russia and Poland. He went to Switzerland and Holland to conduct his works. In order to participate in congress and festivals, he went to Italy, Japan, France, and the US. For state official tasks, he went to Russia, Egypt, Tunis, Romania, Bulgaria and Germany. In 1964, Usmanbaş served as a director in Conservatory. Between 1974 and 1999, he served as Department Chair in the Department of Composition at Conservatory, which belonged to Mimar Sinan University, and taught composition and contemporary music. In 1999, he retired from this position. Since then, Usmanbaş has taught at Istanbul Bilgi University, Istanbul Technical University MIAM program, and Istanbul University State Conservatory. Usmanbaş has composed nearly 120 works including three symphonies, symphonic parts, concertos, quartet for strings and woodwinds, big and small pieces for piano, pieces for vocal-piano, vocal-instruments, stage music, ballets and for solo instruments. Some of his works have been recorded as LP and CD and published as notes in Europe and the US. He has worked with a freedom of form and a concentration on intensity rather than melody, with techniques that include neo-classicism, aleatoric music, twelve tone, serialism, and minimalism. Usmanbaş has won more foreign awards and citations. In 1955, he received a FROMM Music Award in Chicago. He received commissions from the Koussevitzky foundation in Tangle wood, the US in 1958; prizes from the Wieniawski competition in Poland in 1967; the International Composers Tribune in Paris; and the International Competition for Ballet Music in Switzerland in 1969. In 1971, Usmanbaş received a title of State Artist from the Turkish Ministry of Culture and Tourism. 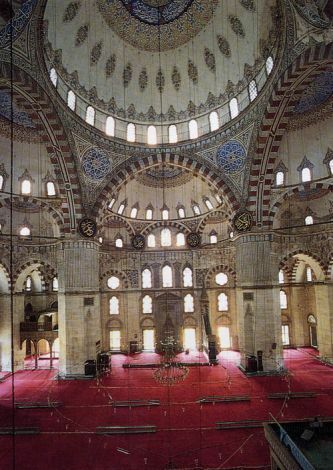 In 1993, he received a gold medal from the Sevda Cenap And Foundation. In 2000, he received an honorary doctorate from Boğaziçi University. In 2004, he was presented with a Lifetime Achievement Award at the 32nd International Istanbul Music Festival. Usmanbaş prepared programs named "Çağdaş Müzik” for the Ankara Radio and “Çağlar Boyu Müzik” for the Istanbul Radio. He has written papers and articles, published books and translated many foreign books into Turkish including “Muzikte Türler ve Biçimler" (translated from Andre Hodeir’s work) and “Kısa Dünya Musıkisi Tarihi” (translated from Curt Sachs’s work). 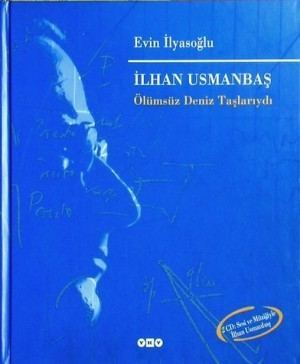 There are books on İlhan Usmanbaş: “İlhan Usmanbaş’a Armağan” (by Evin İlyasoğlu, Istanbul: Sevda-Cenap And Foundation, 1994) and “İlhan Usmanbaş / Ölümsüz Deniz Taşlarıydı” (by Evin İlyasoğlu, Istanbul: Yapı Kredi Publications, 2000).